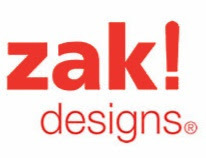 From functional products for the kitchen to fashionable table settings for any occasion, Zak Designs adds a splash of color and a touch of fun to your home. Whether it's plates, bowls and cups for the table or lunch kits, sport bottles and food containers for meals on the go, Zak!Kidz makes mealtime fun. As I have mentioned in the past, I love to cook! I absolutly love finding new tools to make my kitchen more fun and functional, and I was delighted to find the 4 piece Recycled Melamine Bowl Set ( pictued above). Made of recycled melamine, and speckled with slashes of color, they brighten up any kitchen space! My kitchen is full of color and these bowls fit right in! I have used them to both mix and prepare, and to serve fruit salad amongst some other summer treats. They're absoltely beautiful, and recycled! I love item's that reuse materials, eliminating unecessary waste. 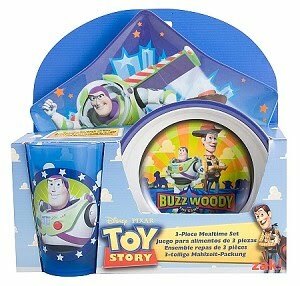 We also had the opportunity to review the Toy Story three piece mealtime set, and the Toy Story Lunch Bag and Aluminum Hydrator. 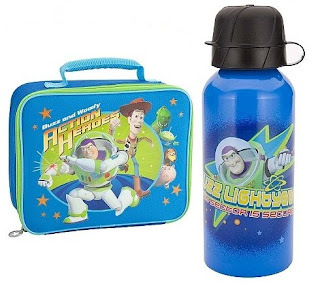 All of the Toy Story Movies have been a huge hit in my house (with the recent release of Toy Story 3 taking that love to a whole new level ) The Aluminum Hydrator and Lunch bag, are both well made, and display the lead characters of the movie - perfect for the upcoming school year! B loves to use his three piece mealtime set! With a cup, bowl, and matching plate (all made of durable melamine) - this set is often washed and reused at every meal in our house! It's added some fun to mealtime for B. Since the princess was feeling a little left out, we went and picked up the 3 piece Disney Princess mealtime set from a local retailer, and she absolutely loves hers as well! Bring fun back to mealtimes with Zak! Kidz three piece mealtime sets, and On the Go mealtime sets! On the go mealtimes made fun with Zak! On the Go Sets! One Lucky Reader will receive a Toy Story Lunch Bag ( Pictured Above) and a Toy Story Aluminum Hydrator ( Pictured Above)! Leave a comment ~ Which Zak! item would you love to have? The comment is considered your entry.